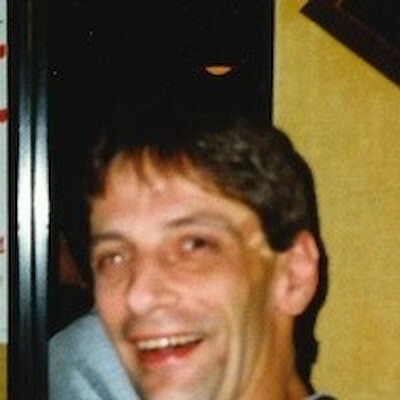 Randall “Randy” Decker, age 58, a resident of Webster, WI formerly of Cedarburg/Port Washington, WI and Minneapolis, MN died suddenly on Sunday, April 7, 2019. Randy loved his life in Webster, especially all his friends. He never wanted to move because he didn’t want to make new ones and “who would he find to help him.” Randy wasn’t very handy around the house, nor very mechanically inclined. To all of you who have helped Randy out over the years, Jody thanks you as it was very much appreciated. He also remembered his friends from Cedarburg and Minneapolis where we had lived before. He had been very much looking forward to his RV’s “Maiden Voyage” to Cedarburg to visit his family and friends. Randy had a big heart and infectious laugh. Even if you didn’t see him, but heard his laugh, you knew he was close by. Randy always said he was the “King of Burnett County” and maybe he was when it came to his cooking at Whiskey Joe’s and Last Call. Randy was preceded in death by his parents, sister, Ann and his grandparents. He is survived by his wife, Jody; son, Justin and his mom, Natalie (Mike) Murray; grandson, Ranen; sisters, Wendy (Stu) and Joell (Scott); nephews, Nick and Josh and niece, Alexian; step-son, Matt (Kelly) Fahland and their children, Reisch and Maddy. He will also be missed by his dogs, Rowan the bed hog and Riley, the PITA. Keep on laughing Randy wherever you are. A Celebration of Life will be planned for a later date. Arrangements were entrusted to Swedberg-Taylor Funeral Home, Webster.